Time for a bit of religion. Well it is Christmas. 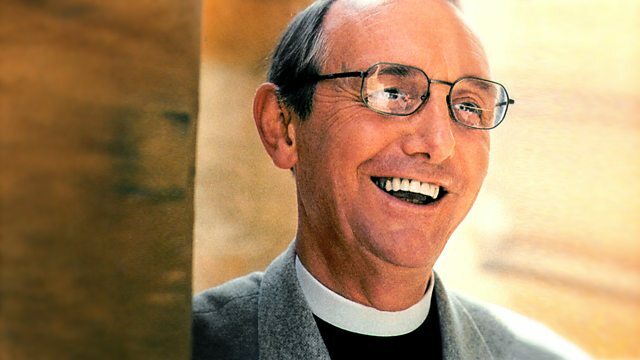 A festive radio fixture for the last 30 years is the mixture of music and religion offered by the Canon Roger Royle. By my reckoning he's had a Radio 2 Christmas Day show every year since 1985. (BBC Genome shows that the 1986 programme was on Christmas Eve but thereafter its always on the day itself). For many years Roger offered wisdom and solace with a touch of good humour on Pause for Thought. For six years between 1984 and 1990 he presented Good Morning Sunday and from 1990 to 2007 regularly presided over Sunday Half-Hour. Nowadays the Christmas Day show, this year relegated to a 3 am slot, is Rockin' Roger's only radio gig. This is how that 1985 Christmas Day show sounded. There's rather more of this Christmas Eve edition of Good Morning Sunday. Roger's guests are General Eva Burrows of The Salvation Army and, in the second part, Roy and Fiona Castle. This programme aired on Sunday 24 December 1989.